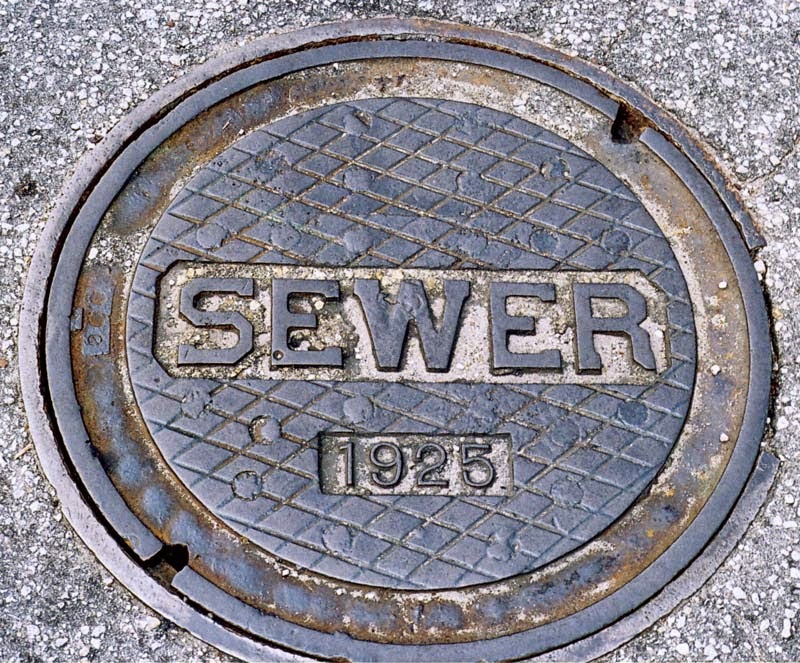 For several years, we've had an issue where every time the temperature would get down in the single digits (Fahrenheit), our house would take on a rotten egg / sewer smell. The smell didn't seem to be coming from a specific room or drain -- it was everywhere. We called our builder, his plumber, and even the heating & ventilation contractor, and nobody knew what the problem was. Looking around online, I suspected that the problem was somehow related to the pipe that vents sewer gas out through the roof. Supposedly, these vents can freeze over in extremely cold winter conditions, causing sewer gas to leak into your house. Some recommendations included visually checking to see if these vents are blocked, but I was never brave enough to climb onto my slippery high-pitched roof to investigate. This winter has been brutally cold, which motivated me to finally try doing something about my fart-smelling house. Climbing into my attic, I noted that there was an entire network of exposed sewer ventilation pipe above the blown-in insulation. 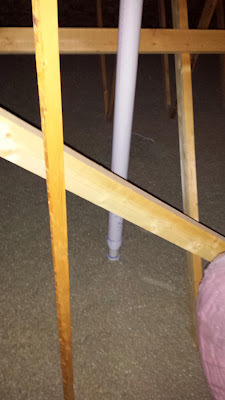 Since a newer house like mine is generally well-insulated, that meant that all of this pipe was enduring temperatures roughly the same as those outdoors. A vertical sewer vent that was exposed for about 10 feet. This seemed to reinforce my suspicions that condensing sewer vapors were freezing these vents shut. Some sources I read recommended installing heat tape along or inside these pipes to prevent freezing. Personally, I didn't want to burn down my house, so I took a simpler route. 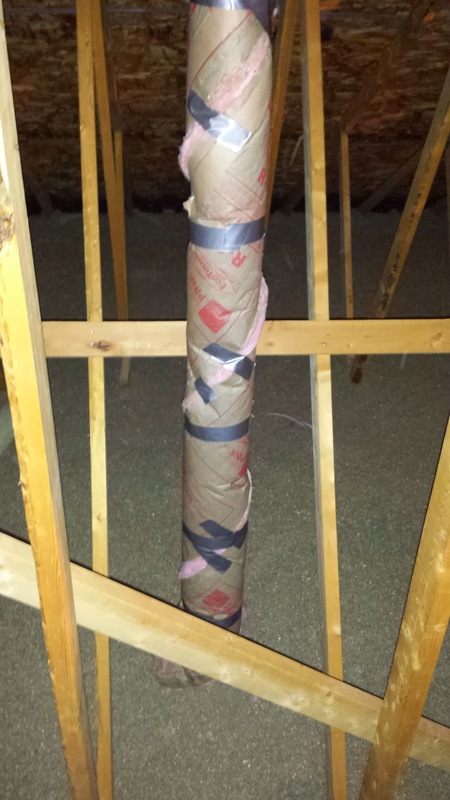 Sewer vent wrapped in paper-faced insulation. I was running low on duct tape when I wrapped this pipe, so I'll probably need to make a return trip to the attic to make it a bit more secure. Since there were vents on each end of the house, I actually ran out of insulation halfway through the job, and had to buy another roll. Having used both paper- and plastic-faced insulation, I found that the version with plastic facing was a lot easier to work with for this task. 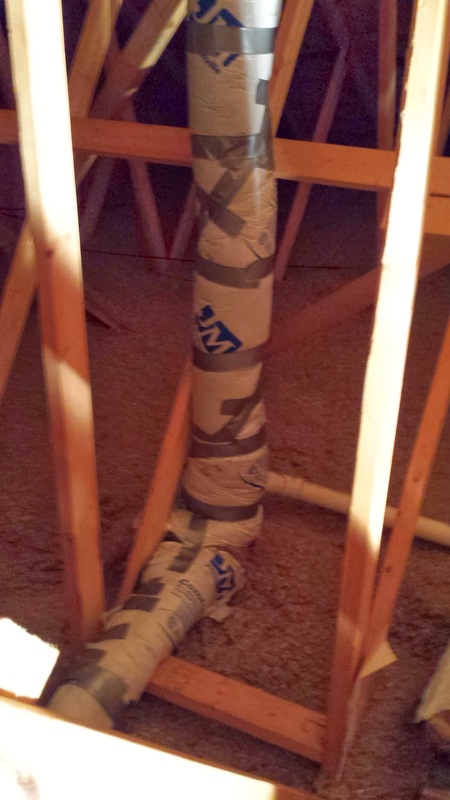 Sewer vent wrapped in plastic-faced insulation. This was actually the first pipe I wrapped, so I was able to close up all of the seams with duct tape. The verdict? We've had multiple several-day stretches of single-digit temperatures, and the smell hasn't returned. In previous years, these temperatures would've guaranteed a smelly house. So, it appears that it worked!